Oliver Grawert, SW-Integration engineer at Canonical posted a message on the Ubuntu Desktop mailing list in which he says that Ubuntu 14.10 is likely to start using converged QML applications on the desktop by default. As you probably know, the plan is to switch to Unity 8 for Ubuntu 14.10 and along with it, it seems that some converged QML applications that are currently running on the phone and tablets might make it to the desktop. The core Ubuntu Touch apps are developed by the community under guidance of the Canonical design team. 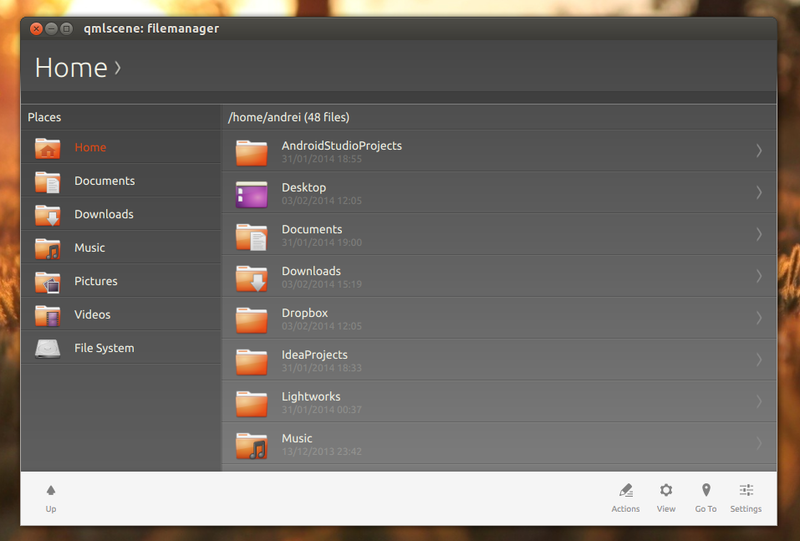 c) if *you* want to contribute, get in contact with the developers"
At the current state, Ubuntu Filemanager App is not exactly ready for the desktop, at least not as a default application but that's about to change. Hopefully that will bring features such as a dual pane, tabs support, a proper search, extensions support and so on, even though some of these features don't make sense on the phone or table, because after all, it will also run on the desktop.